The Company is engaged in manufacturing of Colour and Additive Masterbatches for engineering plastics and compounds that includes a wide range of quality products like Antifab fillers, Transparent fillers, Colour fillers, which is used as cost-effective replacements for polymers and acts as anti-fibrillating, anti-blocks, anti-slip agents. (ii) The journey of Deep Polymers Private Limited !! a) 1992-The Company has started manufacturing world-class Masterbatches 600 MT productions per year. b) 2003-04- The production gets 10x and company started manufacturing 6000 MT productions per year. c) 2008-09- The production gets 100x and company started manufacturing 60000 MT productions per year. (iii) What are Masterbatches and their uses? a) Masterbatches are an integral part of everyone’s life in today world where the use of plastic has become a necessity. The plastic which is used for packaging trays, boxes, cups and vending packaging, baby products, and protection packaging etc. gets its color from masterbatches. b) The Deep Polymers manufactures different types of Masterbatches such as White, Black, Colour, UV, and Additives. are: 1. OFS of 24,50,000 Equity Shares by selling shareholders at a price of 40.00 per share. 2. Fresh Issue by the Company of 13,60,000 Equity Shares at a price of 40.00 per share. a. To Meet working capital requirement. b. To Meet the Issue Expenses. c. To Meet General corporate purpose. Promoters of Deep Polymers Limited Company are: (i) Mr. Rameshbhai Bhimjibhai Patel aged 52 years, is the Managing Director of the Company since September 13, 2005. He is also a promoter of the Company. He completed Higher Secondary from Gujarat secondary and Higher Board. He has an experience of 20 years in the field of Plastic Industry of the Company. (ii) Ms. Dhrupa Thakkar, aged 28 years, is the Company Secretary and Compliance Officer of the Company. She has been associated with the Company since May 01, 2018. She is responsible for assuring compliance with the provisions of Companies act 2013, SEBI act 1992, along with other statutory act, rules and regulations formed thereunder. (iii) Mr. Debsankar Das, aged 28 years, is Chief Financial Officer (CFO) of the Company. He has been associated with the Company since inception. He holds a degree of Bachelor of Commerce. He is looking after all the accounts and finance in our Company. He was appointed as Chief Financial Officer on April 30, 2018. Key Notes 1. The Revenue and PAT in the last 5 years are not consistent. [Red Flag] 2 The PAT has risen 68% in FY18 on decreasing revenue raises the concern of just before the IPO. [ Red Flag] 3. The Receivable Days has almost doubled in the last 5 years. [ Red Flag] 4. The Company is continually defaulting in TDS deposit in the last 5 years. [ Red Flag]. 5. The P/E[Post Issue]=21.85[ Fully Priced Issue]. 6. The P/B[Post Issue]= 2.03. We believe that none of the listed companies in India offer products or services across the various business segments in which company operate. However, as per DRHP the company has shown Plastiblends and Clariant Chemica which are trading at P/E of 20 and 48.1. Surprised first hr subscription of qib+hni quota. This may be a trick to lure the innocent retailers. Please be careful and just wait whether we get any substantial increment in subscription figure at the end of the day. Lead manager track record is also not good. Avoid. The Issue is fully priced. So clear avoid. The Company is continually defaulting in payment of TDS. There Partnership Firm Deep Plast Industries is also making TDS default which is as on date totaling Rs.8,25,070.8. Unfortunately, exchanges approve SME IPOs and not SEBI . And especially we see such companies with poor track record comes in BSE platform as they have less stringent requirements are compared to NSE platform. Promoters are selling 24,50,000 Equity Shares in the following manner. OFS in SME is like a Crime to me. OFS shows that management has very less confidence in the company that it will outperform in future else nobody has sold their shares so cheaply to the public. The global masterbatch market is expected to reach an estimated $10.9 billion by 2022 and it is forecast to grow at a CAGR of 4.2% from 2017 to 2022. The major driver for the growth of this market is increasing demand for plastic as substitutes for various materials like metal, concrete, and steel in various end-use industries. 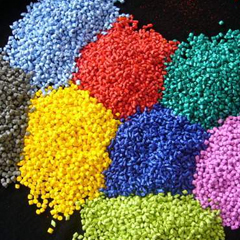 Deep Polymers is engaged in the manufacturing of different colored masterbatches. These masterbatches are used to color plastics. 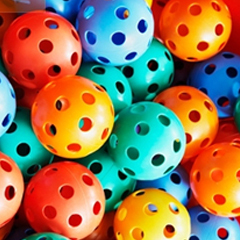 Let us see why industry prefers masterbatches over any other method for coloring plastics. 1. It is extremely cost-effective. They color the polymers and also helps the plastic manufacturing companies to save a good amount. 2. Easy to use, masterbatches ensure a dirt-free and healthy production eliminating the health risk that is involved in using powder pigments. 3. The amount of waste produced is minimized when using masterbatches for production. 4. Unlike using powder pigments, masterbatches have no trial and error method and can easily achieve the desired color with complete safety.